No-frills grocery chain Aldi opened its new regional headquarters and warehouse in Dinwiddie County, Virginia, last week as the company continues its plans to add more stores and upgrade existing stores in the U.S.
Aldi has 11 stores in the Richmond area and two additional stores under construction in the area, said Chris Daniels, Petersburg division vice president for Aldi. The Germany-based grocery company plans to invest $5 billion to remodel and expand to 2,500 stores by the end of 2022. Aldi invested $57 million to build the 562,500-square-foot facility in Dinwiddie County. 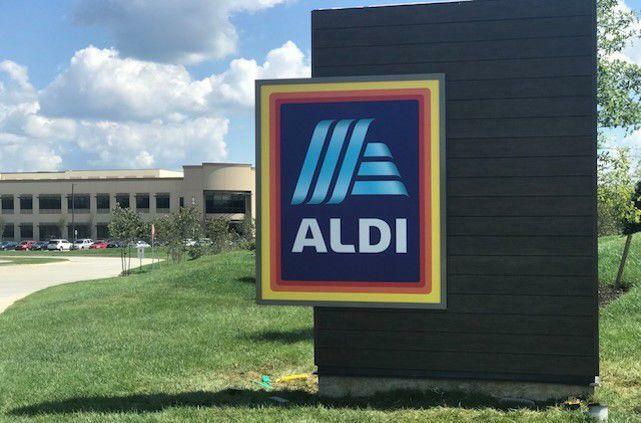 The warehouse/distribution center created 150 new jobs and will serve 70 to 80 Aldi stores in the Richmond-Petersburg, Hampton Roads and eastern North Carolina areas.